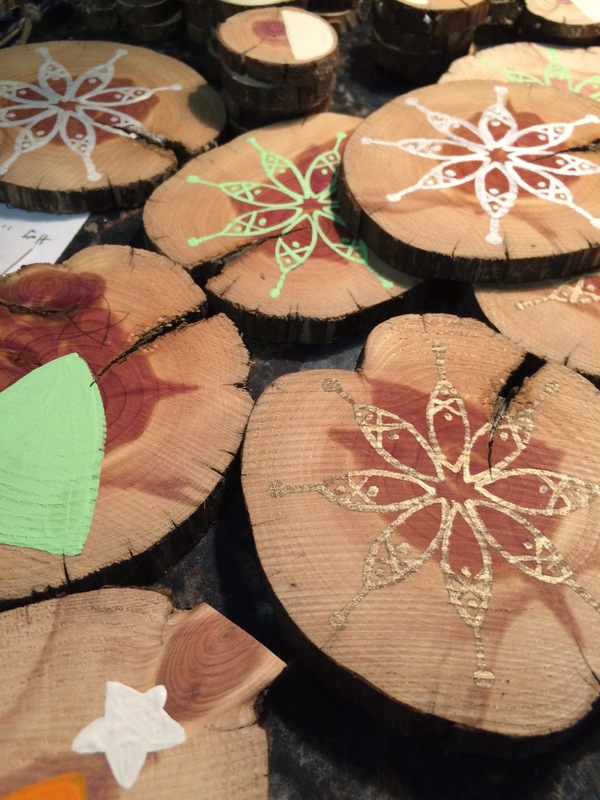 Kristi Schmit's Tangents: Snowflakes, Evergreens, and Ornaments - Oh My! It's November: the month in which our attention completely glosses over Thanksgiving and we focus on Christmas preparations. Okay, so we still spend a little time on turkey and pumpkin pie, but it does seem like Christmas comes earlier every year! I'm busy creating wood slice ornaments. My particular favorites are the snowflake ornaments. Check 'em out in my Etsy Shop, and order yours before holiday prep time runs out! PS. Just to clarify: I personally LOVE Thanksgiving: the food, the family, the FUN. And just as an FYI - I never shop on Thanksgiving day, because I want everyone to be able to have the day off to feel thankful and just plain full.